The Tupolev Tu-2 (Development names ANT-58 and 103, NATO reporting name: Bat) was a twin-engine Soviet (high) speed daylight bomber (SDB) front line bomber (FB) aircraft of World War II vintage. The Tu-2 was tailored to meet a requirement for a high speed bomber or dive-bomber, with a large internal bomb load, and speed similar to that of a single seat fighter. Designed to challenge the German Junkers Ju 88, the Tu-2 proved comparable, and was produced in torpedo, interceptor and reconnaissance versions. The Tu-2 was one of the outstanding combat aircraft of World War II and it played a key role in the Red Army's final offensives. 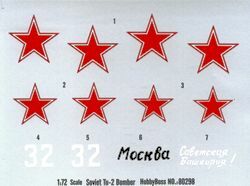 The type was widely used by Soviet client states in the late 1940s and early 1950s. Adding to their list of Easy Assemble kits is this new twin by Hobby Boss. The kit follows a pretty standard format though this time the upper wings, fuselage and complete horizontal stab are on one half while the lower fuselage contains the lower wings. A small cockpit with seat and stick are included and there are clear window pieces that fit into the rear fuselage sides. Again, the clear bits do not have those huge mounting lugs and have well delineated frames, making masking easier. Each of the lower engine nacelle pieces includes the open main gear doors. The gear themselves have a separate wheel and oleo scissors. 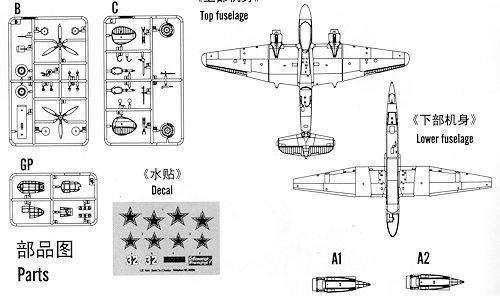 There are guns for the upper and lower gun positions, but they are simply placed into holes in the fuselage and the clear part fits atop them. Each engine consists of a cowling, two part spinner and one-piece prop with the prop held in place by a gluing an end cap to the shaft prior to attaching it to the rest of the nacelle. Instructions are well done and provide no color information during construction. Two markings options are provided, both in green and black over light blue. No unit information is supplied. Various color manufacture options are provided with only the Gunze list being complete. The small decal sheet is well printed and should work out just fine. Both options have white fin tips that will need to be painted. 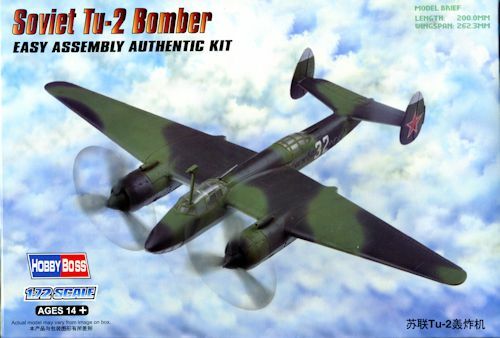 A very nice addition to their Easy Assembly line and an aircraft that one does not see kitted very often, so will be quite welcome to many modelers. As it flew post war with countries such as North Korea and China, one could easily do something a bit different with a bit of research and spares from the decal bin.